Your blog is terrific, thank you. I have been working on several “prototype articles” to explain design thinking to educators and pitch the need for it in our schools. I also have been shamelessly trying to coin a term “Variables Thinking” which I think from an education standpoint would be the ultimate skill students need to face our future. Blog is easily found by searching term. 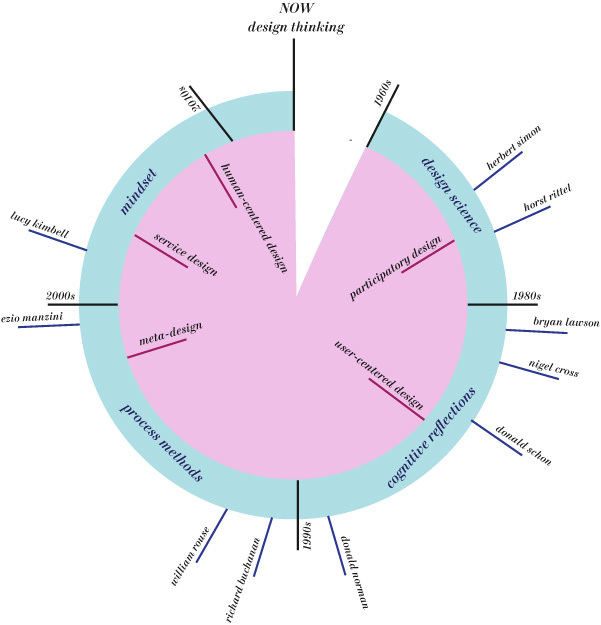 Thanks for the hard work delineating the non-linear and parallel etiologies of design thinking. very cool and very helpful! Good luck with the Phd. 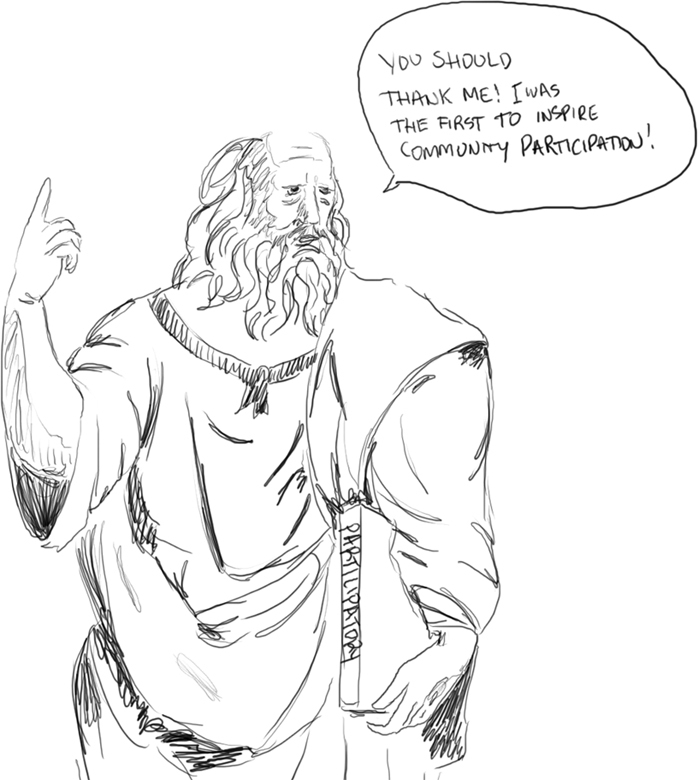 Keep up the great work and strong responses to commenters who post with ego more than collaborative spirit! Wicked good and very helpful post Stephanie. Many thanks. I work in international development and I have been struggling with the evolution of Design Thinking. HCD and ‘Lean’. This was a excellent primer for me. What happened from the mid 1980′s to date was a race to discover new methods for improving business, service and design. Each methodology can be traced through history and analysed independently should you wish to interpret historical readings in context of the method under investigation. I will highlight an example of what I mean as we move along. This is the history of Design 2.0, product & service creation. That has not been the already arrived future of design thinking for at least a decade. Service Design is not a “holistic perspective…that distinguishes itself from all previous design methodologies” as from the outset it presumes you need a service. This is a typical Design 2 methodology orientation, some might say limitation, also found in product design thinking and experience design thinking. Those are known today as downstream methods in comparison to upstream methods of design thinking that begin with no preconceived outcome assumptions. Meta Design methods (Design 3 & 4) have no preconceived challenge or solution paths built in so Meta Design is not “focused on social sustainability”. Sustainability is recognized as one of many important problem types that now exist. Meta Design is not restricted to that problem type. Sustainability design methods are geared towards presuming sustainability related challenges and that is different from Meta Design methodologies and orientation. Stanford has many impressive fancy titles to offer up under the subject of design thinking and is primarily still stuck in their legacy system Design 2 mode where design thinking is presented as product creation. That has not been the leading edge of design thinking for at least a decade. The American graduate schools of design have been slow to adapt to the changing aspects of design thinking in real world practice. Much of what is being sold today as design thinking actually originates from the applied creativity community of practice rather than from design history. If you don’t know that you might find the present picture of design thinking rather confusing. This is particularly true of collaboration and cocreation. What leading practices are doing today in the realm of cocreation has its roots, not in participatory design history but rather in appllied creativity where behaviors have always been front and center. You won’t find much about (inbound) behaviors in the history of design. Instead what you will find is (outbound) interest in users. Applied Creativity has its own history beginning in the modern age around 1940. Much deep historical knowledge and research regarding how to work upstream comes from applied creativity not design. On line you will encounter many “histories of design thinking” being written by folks who are trying to write the story based on their relatively narrow understanding of design history as a single track. Those one dimensional history depictions leading up to today tend to be fatally flawed but perhaps useful to those looking for a cocktail-party drive-by understanding of what design thinking is today and how we got here. Good luck to all. You have grossly misquoted, mis understood and twisted my words and research out of context. It is clear that you have not read my previous posts leading up to this one. For this reason, i do not feel it is worth challenging and correcting your opinion. I dont really like to engage in public debates that are grounded in proving oneself better or more knowledgeable than another. The chest beating/bicep flexing reaction in industry (and unfortunately also present in academia) that has been made common practice by previous generations is disappointing. Being part of the ‘new’ and ‘young’ generation, i feel that i should aim to put a stop to this mentality. This strategy is redundant in our current social environment and hopefully will die out as elder professionals retire. It does elude me as to why you would bother passing critique to those of us who, in your opinion, portray ‘cocktail-party, drive by understandings’ of design thinking. Moreso, why you would take the opportunity to promote your own “research” in a forum you dont respect. I had a look at your document and could quite legitimately pass it off in the same manner- cocktail bites of superficial insights with no reference or evidence. Without reference to papers, people, books, articles or practice to back up your insights, anyone could promote a pdf filled with made up insights in order to be perceived as seemingly innovative. But i am sure this is not the case and knowing your experience am giving you the benefit of the doubt. Personally, i believe in giving credit where credit is due. I have done so with your work and expect the same respect towards my own. You are knowledgeable and experienced enough to understand that I have devoted substantial (full) time work towards my research on design thinking. I do not get anything out of promoting your company or any other person. I do not get paid for endorsements, and am not out to ‘make a buck’ from design thinking or related practice i discuss here- and im certainly not out to prove other people wrong. The aim of this blog is to share insights and knowledge from my research as well as spark thoughtful discussions on related topics. You opinion is most welcome whether it challenges or supports my argument. My only request is that you offer the same respect towards my efforts as i have done your own. I also request that you thoroughly read my previous posts before trolling on my, or other individuals websites, and stay true to context. And if you vehemently disagree with my research and contentions, i will not be offended should you wish i retract all references to your company and your work. These are, after all, simply modern interpretations of Buchanan’s orders of design. Thank you for putting much time and effort into responding and im sorry we dont share the same view. “chest beating/bicep flexing” “as elder professionals retire.” Huh? WTF? That is nasty unwarrented stuff. You asked me to clarify a two sentence contribution and so I did. My previous brief comment on your post remains. It is a simple statement. Your “Brief History of Design Thinking” above reflects the Design 1 & 2 worlds. There is nothing particularly unusual there. It remains an industry and academic bias. Evidently that is not what you wanted to hear. I can see in your other posts on this blog that you are referencing the NextD work and the models that we created and shared. I am happy to see that you are making use of that work in your own sensemaking. We interact with and are visited by many graduate and post-graduate students working on the future of design. I believe you have yourself been invited to our office. As I recall you were also invited to be a student moderator of the NextD discussion list on LinkedIn at one time. Your tonalities seem to have changed more recently. That is unfortunate. In any case if you want to come by and have chat about the difference between the NextD Complexity Ladder work and what you describe as “Buchanan’s orders of design.” I would be happy to extend that invitation to you. Regardless you are certainly welcome to continue using the NextD models as you figure out your own path. At this point that work has been widely seen and made use of by many. We remain happy with that small contributions of NextD. It is not nasty and not unwarranted. You mis represented my argument and mis quoted my words to fit with your defamatory analysis. I don’t mind that you have a differing opinion, but when you label my efforts as ‘cocktail drive by understandings’ (amongst others) and ignore the fact that i state quite clearly that what i have provided on this blog is a *summary* of a larger and more in depth review of literature from my thesis, i classify that as trolling. You knew what you were doing and frankly id expect more understanding from someone with your expertise. Deliberate attempts to inspire reactions to then blast those that appear annoyed/frustrated as “not liking what they hear” is just a cheap shot. Of course my tonality will differ when met with this sort of reaction. Thank you for reading and referencing to my work, it is greatly appreciated! Still in my search on Design Thinking… Another article I came across that answered some unanswered questions.. This material is priceless! Thank you so much for posting this, and is it possible to use it for one of my assignments on Design Thinking module. It must have taken you so much time to bring it all to one nice paper that would put everything in shelves in my head (at least). Thank you so much for your kind comment. Of course you may cite whatever you like for your assignment. Interesting series of posts on the development of Design Thinking, Stefanie. Thank you for blogging! I would be totally lost on design thinking history if not this and two previous post on the topic. Thank you so much!!! I’m writing my master thesis on design thinking and innovation management for a business degree. Obviously, since I’m not coming from design field, I have some difficulties with putting together more or less chronological line on the history of design thinking in short, a page or two. This material has already been priceless help! Yet, I got a bit confused and I want kindly ask your assistance/clarifications. If I understood correctly, it could be put together this way (please see below). Yet, then I start comparing this timeline based on your blog post with your circular scheme and I got lost with two basic questions. Firstly, what happened with meta design? Did it just sort of continuation of user-centered design which was getting more and more holistic approach? Secondly, what was first: service design (based on the circular scheme) or human-centered design (based on blog post)? Were they developing parallel? Sincerely thank you in advance for your further clarifications and explanations on the topic. 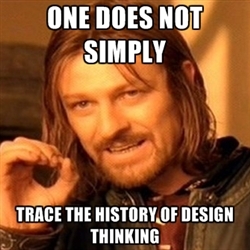 First of all, i would be careful about making a statement about chronological developments of design thinking. I very loosely define a broad history that i understood to have evolved through my readings on design; this history being drawn by major trends and developments in design practice and research. I wouldnt label the 1960s as participatory design. Participatory design was introduced during this phase but was not popular until the late 1980s. 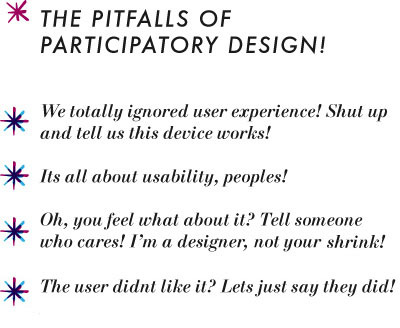 You are right, however, to understand that participatory design was a precursor to user centered design. User centered design did not emerge until the 1980s and in fact it was often used interchangeably with human centered design during this time (but user centered was more common). Our conventional understanding of human centered design did not emerge until the late 1990’s. It is important to note that often many of these practices existed prior to the dates i outline, but that the dates i define are when they started to become popular or commonplace. Meta design sort of merged with service design and environmentally/sustainably focused design practice. Thus, it is often used in conjunction (or synonymous with) strategic and systemic design. Meta design is user centered in that it relies on social innovation, but the emphasis of its practice is on the wider, holistic and systemic perspective. My impression is that meta design has really died as a term and blended into the general practice of ‘fourth order’ design. In terms of service and human centered design- this is a tricky question to answer. Service design is often defined as having its roots in marketing. Human centered design, although appearing as a new term, was used around the time user centered design emerged. If we take service design as an designerly extension on marketing, and human centered design as an extension of user centerd design, then these two fields evolved concurrently. But if we are speaking about service design and human centered design as we understand it today, then i would argue service design emerged before human centered design as a term and concept became commonplace. I hope this makes sense and that i have clarified your questions for you! I’m currently studying engineering, and my final-year project is about introducing Human-centered Design into the curriculum at my university. This is incredibly helpful, thank you SO MUCH! Thanks a lot for sharing here some of your research. It´s really interesting, and very nice and easy understood. Not much of that! I have a question or two to your timeline, because I´m a little confused: Schould `NOW + design thinking´ considers as headlines or are they to be understood as preliminary last point on the timeline? In the ladder case, would that mean that you see DT as something new(ly defined) grown out of or build on top of previous designpracise and thinking….? Instead of DT understood as some kind of key element or inner “soul” of designing (what ever kind of design(ing) and maybe through anytime), but of course changed over time like for instance business has changed. Apologies for the delayed response. Yes i do see design thinking as something that is (outside of design practice) newly defined and has grown out of as well as built upon previous design practice and thinking. But design thinking is also acknowledged as a kind of ‘third’ style of knowledge (as bruce archer would call it) and it is definitely -at a very basic level- innate to human nature. 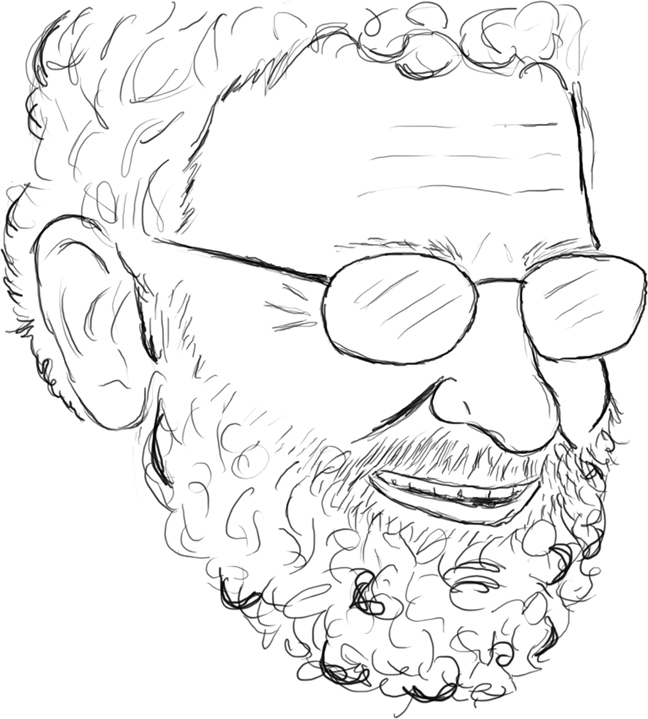 It is just that designers generally fine tune this innate “soul” or intuition and thus feel more comfortable working in this style of thinking and doing. That said, there does exist fundamental characteristics that appear to be at the core of designing and design thinking, but the practice does and will evolve over time as our world changes around us. I believe design reflects and is reflected in our current state in society and human development. Many thanks for taking the time to answering me. It answers very well,og rereading your text I understood more of it :-). Now I recognise that DT can both be the cognitive way of thinking (where using more of the right side of the brain is part of it), a methodology (a practice with tools and processes and reflecting this), and now also as a mindset (which is seen in HCD, organizational design and Design Management used at strategic level in organsations). So when you state that DT is grown out of previous practice and thinking (design theory?) it is as a mindset? Is that the right way to put it? Talking about a “style of knowledge” is this then understood a cognitive way? And the two other styles is then? I invented the first UCD process for web development, which is basically still the standard today, when I was designing the first online trading systems on Wall Street. Believe it or not, I don’t care anymore.